There’s something wonderful about watching a movie without reading or hearing any reviews. You have no expectations and haven’t been told what to think, but given the calibre of the cast, you hope they won’t let you down. 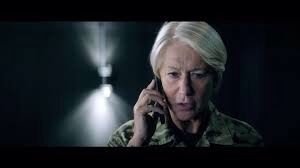 Such was the case with Eye in the Sky, a taut thriller about ethics and morality in 21st century warfare. The presence of A list stars such as Helen Mirren and Alan Rickman is usually a good sign, while Aaron Paul, Jeremy Northam, Iain Glen and Monica Dolan didn’t hurt matters either. The premise is simple. When assorted terrorists collect in one African house, the desire to take them out with a single drone strike is tantalising. However, the fact a little girl is selling bread in the blast radius means the remote warriors have a clash of conscience. Can they justify sacrificing one girl’s life if it means a bunch of terrorists will be erased in one go, and save the lives of potential victims in a pending suicide bombing? Juggling the numbers to minimise fatality while constantly “referring up” to different VIPs means this could be one of those yawnsome movies involving assorted phone calls, video conferences and the like, but it’s a testament to director Gavin Hood that he manages to make this as gripping as he does. Another strong aspect of the movie is Barkhad Abdi from Captain Phillips as the ground agent spying on the terrorists while trying to keep his cover. Not that easy when there’s a curious villager wondering if he’s playing a game on his mobile instead of operating a minute flying camera. For an actor that held his own in a scene with Tom Hanks in that movie, he’s proved once more to be an outstanding complement to a film, adding authenticity to the proceedings. 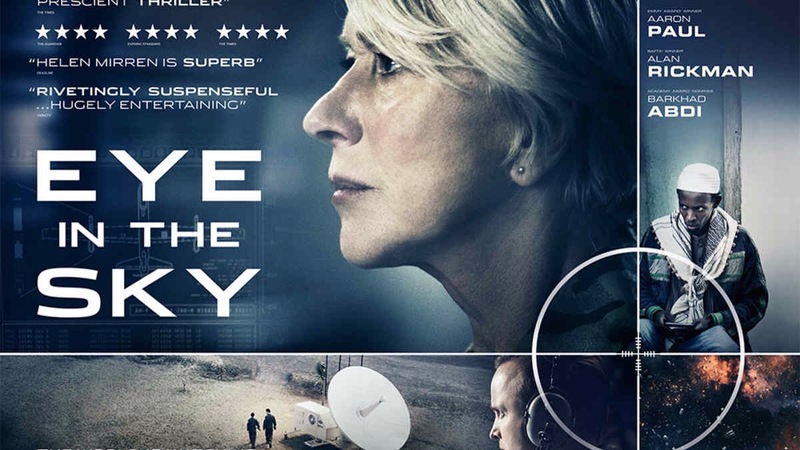 Though the movie could work as well on the stage, it’s well worth a look on the big screen as events unfold in real time, a bit like that 12 part UK run of 24 which also focuses on hot button topic, drone strikes. 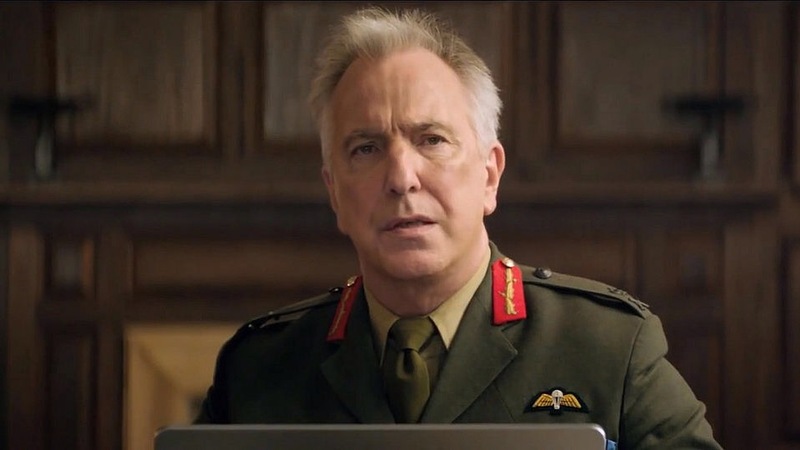 Obviously as this was Alan Rickman’s last on screen performance, it’s hard not to watch the film without a poignant twang. The fact he signs off with the best scene in the movie reminds us of what an immense talent we have lost, and what a great actor he was. Laced with flashes of humour, great editing and a tense score, EITS is a thriller that engages the brain as well as the heart. Like the remote weaponised plane at the heart of the drama, this locks you in its sights and hits its target with pinpoint accuracy.